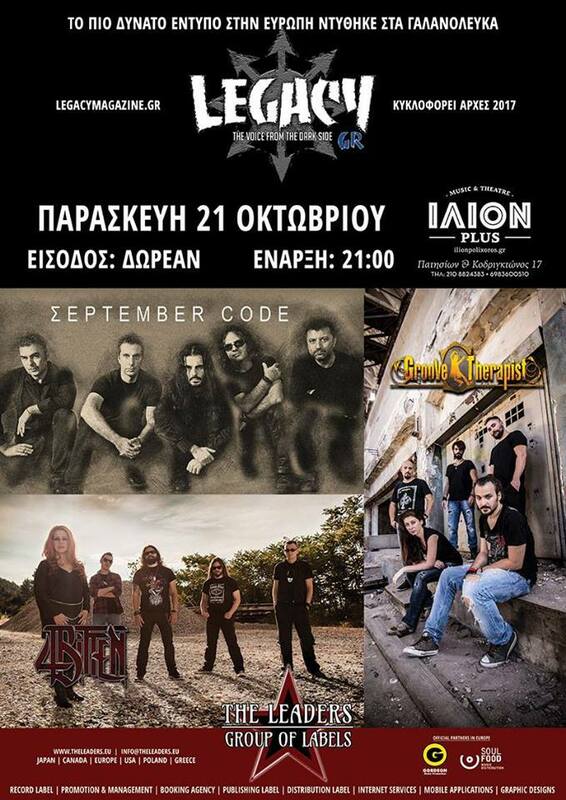 Legacy Magazine invites you in a unique event with September Code, 4Bitten and Groove Therapist, at ΙΛΙΟΝ Club! Groove Therapist, the exceptional progressive theatrical band, released their debut concept album "Mr. Funker The Myth". A succesful combination of variety styles from Rock to Funk, Progressive to classic Metal. Get ready to dive into their inspired melodies and groovy atmosphere!